Millennium Holiday Group is the leading DMC in Antalya, Kuşadası, Van and Istanbul, as well as an incoming and outgoing TO in Dubai since 1996. Having our head-quarter in Antalya, it is particularly advantageous being within a very easy reach of our guests, thus enabling us to deal with all their requirements and to make sure our operations continue smoothly. Full customer satisfaction among our guests coming from 17 different countries with more than 45 tour operators proves us the quality of our services. Beside golfing holidays, we also offer various travel options to the non-golfers such as Spa holidays, short breaks to the other exciting destinations in Turkey. We proud ourselves by offering tailor made packages with competitive rates to all our partners. 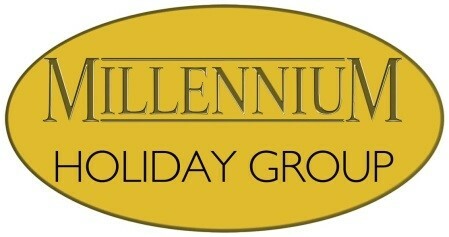 We are glad to inform that Millennium Holiday Group has opened in 2013 three new branches in Istanbul, Kuşadası and Dubai as an Incoming and Outgoing Tour operator. Istanbul is a great historical capital; moreover it has 3 professional Golf courses. Dubai with its 15 perfectly maintained Golf courses has always attracted our interest as a prospective market. 2014 has seen the diversification of our offers, based on our expertise and day-to-day implication in improving our professionalism. Luxury holidays, sport themed weeks, events and congresses know benefit of the Millennium excellence. We believe that both destinations are very promising for sport holidays so as for culture and leisure. Our main branch offers dedicated services to the golfers in Belek, Kuşadası, Istanbul and Dubai. We arrange hotel and guaranteed tee time reservation, airport transfers and shuttles to the golf courses. Our customers benefit of the assistance of a professional guide who can also offer and organize excursions. VIP and private transfers are also available on request. Through years we have been involved and chosen to organize many major events linked not only with golf. We pride ourselves to offer the same detail-orientated attention, flexibility and high professionalism in each of our organizations. Following the needs of the meeting plan, we make the hotel and meeting rooms’ reservation, providing airport transfers and shuttle services as well. Our team will organize the set up and design for the desks and convention areas, providing a professional assistance on site, animations, extra venues bookings and full operations on the destination. We selected the best All Inclusive hotels and resorts with emphased facilities for adults, teenagers and children. Our expertise on all our destinations is the guaranty to advise you the best offer for the special requirements of family holidays and especially with babies and young children. We provide selected hotels and family friendly resorts reservation, airport transfers with baby seats on request, professional guiding service and a wide choice of excursions or outside activities. VIP and private transfers can be organized on request. For exigent travelers we provide excellent services and attention. We selected luxury city hotels, mesmerizing resorts and luxurious villas trough all our destinations. Each demand will be reached by our specialized team which will design exclusive and memorable holidays upon each of your wish. We provide reservations in the selected luxury and exclusive venues, VIP private transfers, concierge service with local assistance, professional guiding and private yacht cruises in Mediterranean and Aegean sea. 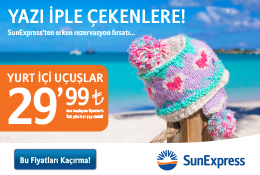 Turkish Riviera offers perfect weather conditions in winter for Professional football training camps. We selected a sharp offer of all-inclusive venues offering the best practice concepts for football teams. We provide hotels reservation with dedicated rooms and categories for players, managers and massage, airport transfers and welcoming, on site assistance and shuttle service to the football training centers. Following the established training program, we organize the match and training pitches schedule, special diet needs, and we can arrange friendly matches with other football team from same level on request. Our tennis camps are based on the Turkish Riviera, offering a wide variety of combination for the tennis training camps. Clay stabilized or hard courts are available in our selection of resorts on all-inclusive basis. Train hard, play hard, concentrate on your game, we organize the rest. Hotel reservation in tennis dedicated resorts, airport transfers and on site assistance are our basic services. We also organize the booking of the match and training courts upon the training program schedule, special diet needs and we can also organize a full tournament package. Belek has seen the opening of the World-class biggest sports complex in Europe on January 2015. This complex offers the highest international and Olympic standards equipment and facilities. Swimming, diving, athletics, grass hockey, basketball, handball, beach volley, cycling, boxing, martial arts are some of examples of the over than 50 different sports which have been included in the concept of this sports arena. Already a significant number of national and professional teams have selected this venue as their official mid-season training center. Be part of it, choose the best. We provide hotel and training facilities reservation upon the established training schedule, on site assistance, medical and diet programs and shuttle services. Anatolia is a country of high lands and perfect shaped mountains. All over the countries we selected the best ski resorts to offer you a unique skiing experience from the Taurus Mountains, to the volcanos central Anatolia and the green valleys of Black Sea. In summer season these destinations are also perfect for trekking and mountain biking. We provide hotel reservation at the selected ski resorts, airport transfers, ski pass and ski rentals, booking of ski / snowboard lessons with a professional trainer from the Turkish Ski Federation and heliski programs. In spring and summer periods, we organize as well mountain bike camps or trekking route with professional and licensed mountain guides.